I have a Canon 5D Mark IV, and it takes amazing photos, is mostly reliable, and hearty enough that I can take it into sub-zero temps in a snowstorm and it doesn’t blink, so to speak. However, and this is a big however, this is not the camera to take on vacation. And I know this because I have taken it on vacation. Even with the 40mm pancake it’s still a rock in my backpack. Sure, I lug it all around sightseeing just in case I might need it. But I don’t take it out that often because I am touring, not on assignment. I have rationalized its weight by thinking of it as my own personal workout — like when you see people taking a walk with those strap-on weights on their ankles and wrists. Yes, I have a nice mirrorless from Sony that is a good travel camera — or at least good enough — and it would be the sensible camera to bring. The a6000 is small, lightweight and easy to throw in my purse. But I don’t bring it. You know why? Because I am hopeful that I will see the most incredible things on my vacation and absolutely need my fancy DSLR. And if I do, I don’t want a “good enough” camera, I want a great camera. I like prime lenses. The glass is better, they are often lighter than the zooms, and there is less to fuss over. Makes it simple. When I am traveling, a 35mm and/or 50mm lens would be perfect for me. I looked at the Leica Q - great camera, but the 28mm is too wide for what I want, not to mention that it costs a fortune. It’s aslo quite a bit older now. The new Leica CL has a smaller sensor and, while nice, not sure it is much better than the Fuji. Now, I haven’t tried the Fuji X100F, which people seem to love. And I might buy that still. But there is a part of me that wants a full-frame sensor in a small package. I like to have flexibility when editing photos so I like shooting raw. In fact, the medium formats look interesting too, just not for travel. 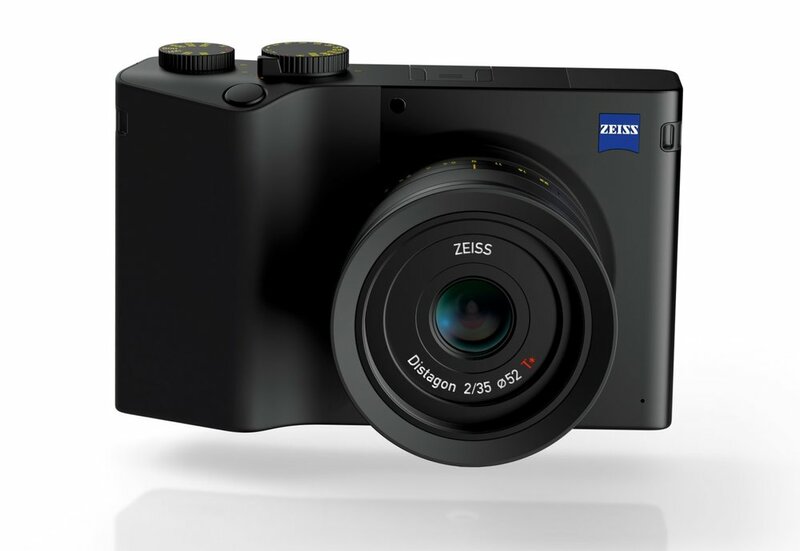 Anyway, I could go on about other cameras and brands, but I think the Zeiss ZX1 looks like it could be exciting. I own a Zeiss lens, and it’s pretty fantastic. The ZX1 doesn’t look too big (although bigger than the Fuji and Leica, I believe). And at first I thought that having Lightroom on the back of the camera was an annoying gimmick, but how many times have you taken a photo and someone wants you to send it to them right away? Might not be bad to have. Hope to update this soon!